The curtain has come down on our first production in our new home, the Olde Walkerville Theatre. Our kids did a fabulous job, playing to approximately a total audience of approximately 600 people over four performances. Outrageous Fortune has served as a wonderful introduction to Shakespeare for our students. 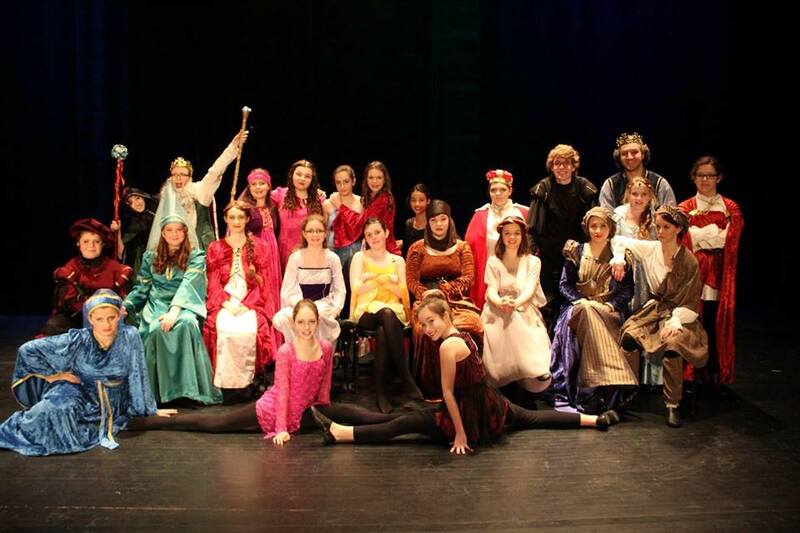 It will be foundational in their progress toward their goal of putting on a full Shakespeare play. Next on our agenda with this long-term plan is to study the play Hamlet in greater depth in preparation for Riverfront’s first out of town field trip to see the Stratford Festival production of Hamlet at the end of May. We are in the midst of planning a summer day-camp for our students to continue on with a more light-hearted version of the play that will be produced on a small scale and which will continue to prepare the kids for their work ahead with a Shakespeare production. And we’re planning to take the kids at least half-way back to the 17th Century when we begin rehearsals next fall with our Senior production, Pride and Prejudice (to be performed in February 2016). 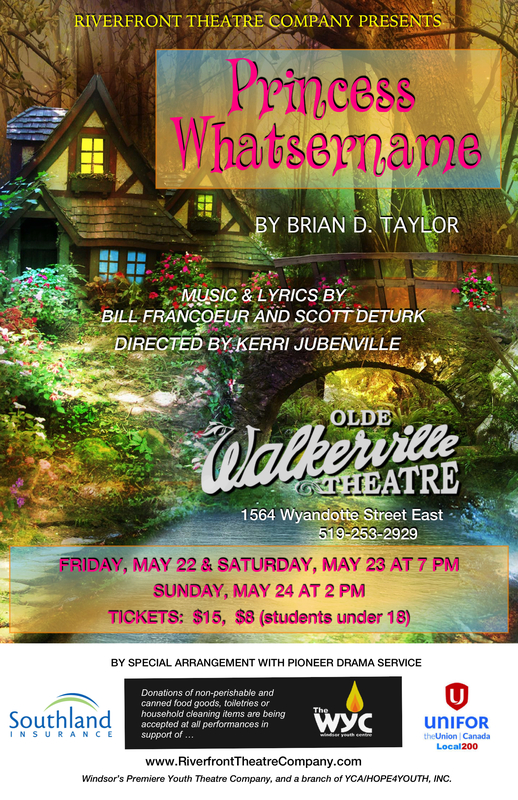 But in the meantime, it’s onward into the world of fairy-tales and music, as we prepare for our upcoming show, Princess Whatsername, also playing at The Olde Walkerville Theatre, May 22-24th! We hope you’ll be joining us! Previous: Previous post: Just a few days away from opening! Next: Next post: Coming Soon to the Olde Walkerville Theatre!